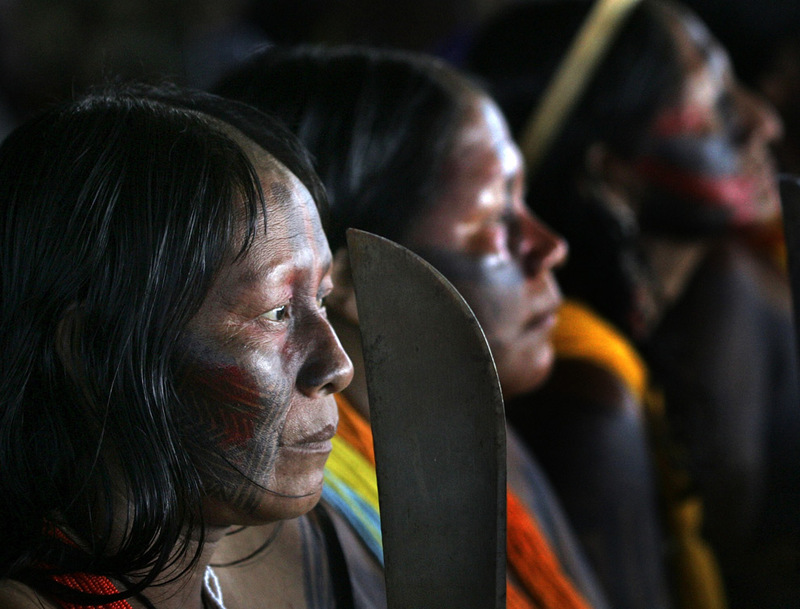 Forest Policy Research » Blog Archive » Brazil: Legislation of Genocide legitimizes stolen land! Brazil: Legislation of Genocide legitimizes stolen land! Former Environment Minister Marina Silva said the Senate’s passage of HB 458 was the third worst day of her life, following the death of year father and the assassination of her mentor Chico Mendes, a leader of a rubber tapper union based in the Brazilian state of Acre. She added the law would undermine Brazil’s progress in formulating and implementing environmental protections, including the setting aside of 523,592 square kilometers of protected areas between 2003 and 2009, an amount accounting for three-quarters of global protected areas established during that period. HB 458 would grant land title to 300,000 properties illegally established across some 600,000 square kilometers (230,000 square miles) of protected Amazon forest, more than offsetting the conservation gains of the past six years. Development interests — including large-scale agroindustrial firms, cattle ranchers, loggers, and plantation forestry companies — have lobbied intensely to get HB 458 passed. Supporters of the legislation say that while it will legitimize land-grabs prior to December 2004, HB 458 move may improve governance in an otherwise lawless region where conflict over land and complete disregard of environmental regulations is widespread.